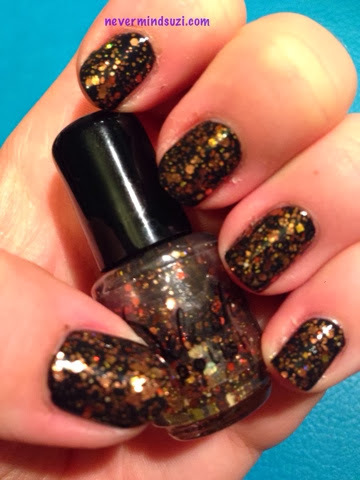 This polish is gonna blow your mind! 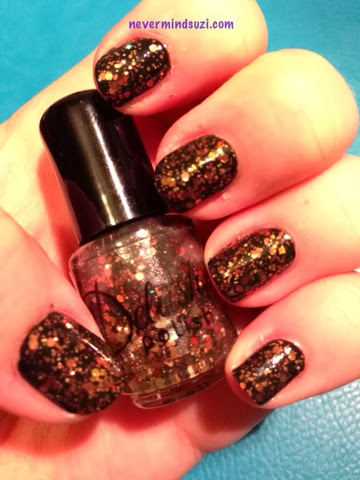 Master of Disguise is a plethora of copper glitters, I know my description is rather sucky but I think this polish more than speaks for itself. 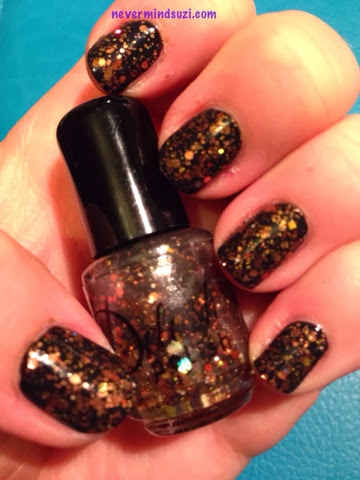 How amazing does it look over black! !